Get the help you need, in the privacy and comfort of your own home; or right from work. If you have limited time we can find a way. 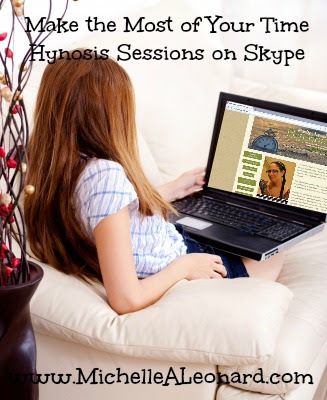 Hypnosis sessions by Skype gives you the ability to have a hypnosis session with the hypnotist of your choosing; and in that moment you may need it or want it. It makes no difference that you might be thousands of miles away — the moment we begin and you close your eyes, it’s as if you were having an in-office hypnosis session right next to me. 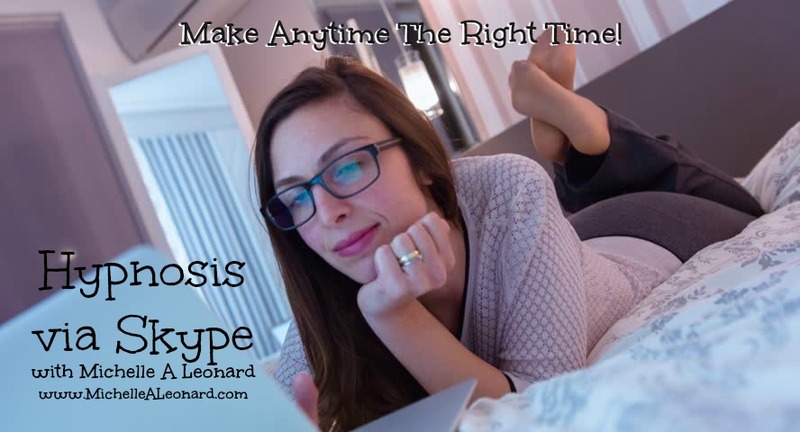 Michelle A Leonard Hypnosis offers Skype sessions with anyone in the United States. Many clients are people who travel often for work or have multiple residences. Other clients may not have the ability or are just not feel up to leaving the comfort of their own home. Others have utilized the power of hypnosis before a speech or important work event; or in a moment of high stress and anxiety. By offering convenient Skype sessions, Michelle is able to accommodate her client’s busy schedules or immediate needs. Phone sessions give you the same one-on-one attention and quality interaction that an in-office session does. Michelle often even hypnotizes people over skype while they are still at work. Over-the-phone sessions give you flexibility even if you are a "busy" person with "no time.". To do this, all you need is some privacy, a comfortable chair (bed or couch), and some uninterrupted quiet time. It doesn’t have to be absolutely quiet just quiet enough. Some clients prefer to wear a headset (earbuds) but that is not necessary. ✓ Have the attitude that you truly want our session to benefit you. This attitude is a hundred times better than choosing to resist hypnosis. Hypnosis works because you want it to. ✓ Make sure to be in a space where you will not be interrupted whatsoever; not even by your pet. Anything that rings or makes sounds should be turned off. This is your special time. ✓ Have eaten something earlier so that you are very comfortable and your mind is able to focus on what we are doing. Be sure to skip alcohol, and coffee or any other beverage that contains caffeine. ✓ Please have already gone to the restroom before our session so that you are completely comfortable. ✓ To further enhance your session, use your favorite warm blanket and sit in a comfortable, chair such as a recliner. If you wear glasses, you will take them off after our initial talk, when we are ready to start the process of hypnotizing you. All sessions are booked by appointment. Payment is made easy through PayPal. When booking, please make sure to fill out your appointment form this will include what your goal is for the session. There are some issues that really should be done in office. Save time! You are just a Skype session away from success! Schedule an appointment today! Phone sessions available! Your location is not an excuse. I am here to support you. *** Add “MichelleALeonardHypnosis” to your Skype contact. Beneath the hormones, proteins, electricity, and neurons that make up the wiring of the human brain, lies the force that makes our minds work. We do know that our minds play a powerful role in causing, keeping, and curing our addictions. Hypnosis can be very successful in creating positive changes in your life,and is an effective tool in the recovery process from addiction. Addictions that include drugs, alcohol, nicotine and even food. Through hypnosis you will become healthier; and more committed and confident about your sobriety. At Michelle A Leonard Hypnosis we use a personal one-on-one approach with unique advanced scientifically proven anchors to support you in reaching your goals and living a life that is both clean, sober and much happier. Each session will be focused on satisfying your specific desires, needs, objectives and goals. Learn easy to use techniques to begin to mindfully treating yourself with the love, care and the respect you deserve. Hypnosis will allow you to enter a state of deep relaxation and heightened suggestibility to support you in reaching your desired outcomes. Hypnosis brings your subconscious into alignment with your hopes and desires, and reprograms your thinking so that all the parts of your mind and body are working together simultaneously to achieve your goals. Working with both your conscious and subconscious, hypnosis will change patterns of thoughts, beliefs and behaviors. 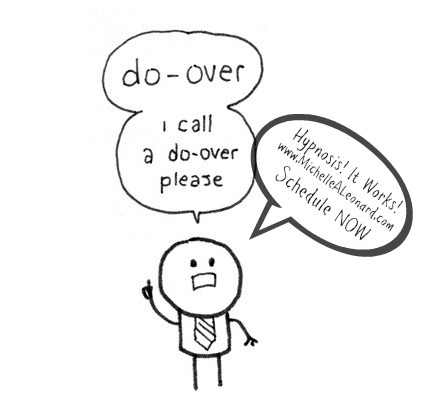 Hypnosis will help diminish and lessen the physical barriers to recovery, such as the body's symptoms of withdrawal. This includes: fear, anxiety, unhealthy desire, muscle tension, spasm and pain. Each hypnosis session will increase motivation and further decrease addiction cravings. Hypnosis can also help persuade a client to hold-on and to complete a treatment program. It can also help clients continue to attended recovery meetings, work with their sponsor, and more than anything, to remain willing. These are just a few of the tools that help the addict to not relapse and to ensure that they begin living the best life possible. Put yourself into a state of strong commitment, with clear intentions to incorporate new habits and then you will achieve and maintain sobriety. Hypnosis will reinforce your commitment and path to sobriety and abstinence. 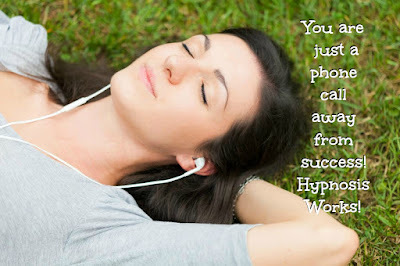 Hypnosis changes your thought patterns so that you begin to pay more attention and live a healthier lifestyle. With hypnosis you will find cravings will diminish and you will become focused on making healthy life choices consistently. Every session will leave you feeling empowered, confident, and in control. 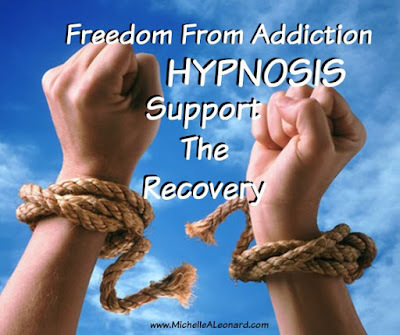 As an addiction client, with Michelle A Leonard Hypnosis, you will begin your journey to improved health, living a more optimal wellness lifestyle, and you will gain confidence with a program that builds on momentum. You will be begin with being seen once a week for a month; four visits. These visits will be followed up with two bi-weekly sessions; two visits. This addiction approach is different than anything you have ever tried before. After the sixth session, you will then decide when you need a follow up maintenance hypnosis sessions to continue onto success! I have had clients come in weekly, to weeks later, months later, or during times of high stress - It is based on your progress, your needs, and your goals. Clients who do best and achieve the most are those who come in periodically, when needed, until their goals are well maintained. Your first 90 minute visit will be pleasant and informative; not to mention life changing! My goal is to further encourage and inspire you to achieve your objectives. I will gain insight on your needs and intentions. We will have a discussion about your objectives. We will review your initial intake and obtain information related to your current health, lifestyle, and habits. We will talk about hypnosis and how it works. Each hypnosis session is tailored to your specific needs; includes key suggestions, utilizing a range of techniques, includes powerful anchors and will leave you empowered and motivated! In the end we will briefly discuss your experience, homework will be given, you will receive tools, including a hypnosis recording to listen to every night before bed. Please plan follow-up visits to last about 45 minutes. They will include a discussion of your progress, we will add in additional goals, and again you will be emailed a recording to listen to daily before bed. Often I am asked – “Michelle, have you heard of one – session - hypnosis programs for addictions?” Yes I have! …and I DO NOT believe in them. It’s been reported that only a small percentage of clients that have tried these “miracle cure” actually have results. These results are usually small and often temporary. As a advanced trained hypnotist I believe that life changing results can happen for you! If you are determined and committed; and WITH reinforcement, support, individualized attention, and suggestions that are customized to your needs. Join the many of other people who have gained freedom from addiction and have successfully changed their life for the positive! Pricing: Normally the addiction program set up like the above would cost you $650.00. With your commitment to success your program, of 6 sessions, will be discounted to $425.00; we can easily break this into installment payments per session if you need. Each additional maintenance session after these sessions will be discounted to $50.00 per session for 10 months; that is 50% off the regular fees. Hypnosis: Take a Time Out From Life; Freedom From Immediate From Stress, Anxiety, Anger and Sadness! Hypnosis: Take a Time Out From Life; Break Free From Stress, Anxiety, Anger or Sadness! Change Your Thoughts; Create Your Moments, and Change the Circumstance. Do you have moments of excessive worry? Moments of extreme anxiety? Immobilizing thoughts of stress, anger or sadness? 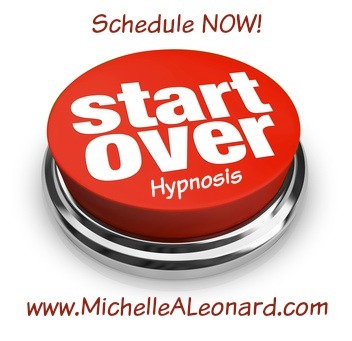 Utilize Hypnosis as a life tool to immediate change. You have the power to stop the insanity! Take a time out from life! Change your thoughts and change your day! I am here to immediately guide you through the hypnosis process. Gift yourself a Reset! Make a visit with me today! Emotions and feelings of stress, anxiety, anger, and sadness do have their place. They push us to make necessary changes in our day and lives. They are signals that we may be in danger, and inspire us to take action to get ourselves into a safer, healthier, and happier place. (This danger can be any type of threat to our physical, emotional, or spiritual well-being, from not doing well on a test, arguing with your significant other or co-worker, to losing a job to losing a friend, etc.) In this way, feelings of stress and anxiety are healthy and necessary; without them, we may not act in our own best interest. The point at which these feelings become unhealthy is when they stop pushing us to act; or stop us from creating a more positive path towards health and happiness. This can either be because we are worried about things that are not under your control or that have not happened yet, or you have become immobilized by the stress and anxiety you are feeling, rather than being inspired to take positive steps forward towards a better outcome. Whatever the reason, this worry, anxiety, stress, or anger can cause a lot of stress on our minds and bodies; it affects our health, our outlooks and our outcomes. But you do have the power to reset the cycle, NOW! So now that you understand the nature of stress, worry, and anxiety a little better, we can focus on eliminating them. The best remedy for feelings such as these are realization, self love, compassionate self care, and action. 1. First, look inside. What is causing you to worry? Be specific. (For some situations, this may be readily apparent; other times, you may really have to think about it.) Writing in a journal or reaching out to a trusted compassionate soul to talk too about it can help you sort out your feelings. 2. Then, decide what action, if any, should be taken. Figure out what part of the situation is under your control. Many times controlling your thoughts is the first step to controlling the situation. (You can make the conscious choice to control your thoughts and HYPNOSIS can guide you on this path. A DO OVER!) Assess the problem to see whether the threat is real, or if you are "blowing it out of proportion". If the problem is just a hypothetical situation or a worst-case scenario, decide if it is really likely that your fears will actually come to fruition. 3. Next, come up with a plan. Take action to protect yourself; physically, emotionally, and spiritually. This is a good way to channel nervous or negative energy and provides reassurance against your fears and anxieties. 4. Once you have done all you can, change your thinking and just let it go. Like everything in life, this is easier said than done, but with practice, and the right tools you can let go of immediate and excessive levels of stress, worry, and anxiety. You can do this by focusing on something else, taking a time out from the circumstance, reminding yourself of the solutions, changing your thoughts in regards to the circumstance, and trying stress management strategies that can help you feel more centered, grounded, balanced and at peace, such as HYPNOSIS, therapeutic oils, acupuncture, yoga, prayer, meditation, journaling, or listening to music. Getting regular exercise has also been found to be especially helpful in combating the physical effects of anxiety, worry, sadness, and stress. I am offering you an immediate approach that works. Hypnosis - Take a Time Out From Life; Break Free From Stress, Anxiety, Anger or Sadness! Reset your day and move forward with a more positive mind set! 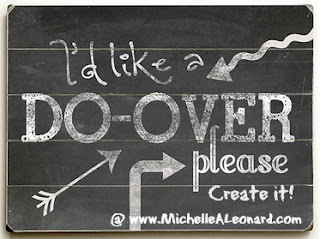 Give yourself a DO OVER! Change your thoughts and create your moments. CALL ME TODAY! Simply make a visit today: in person, on the phone, or via Skype. Feel free to make an "EMERGENCY" LIFE CHANGING APPOINTMENT NOW! 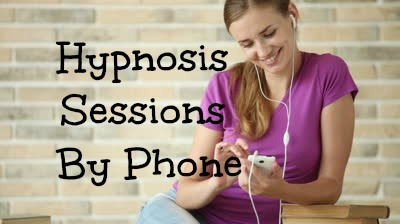 Hypnosis sessions by phone gives you the ability to have a hypnosis session with the hypnotist of your choosing; and in that moment you may need it or want it. It makes no difference that you might be thousands of miles away — the moment we begin and you close your eyes, it’s as if you were having an in-office hypnosis session right next to me. 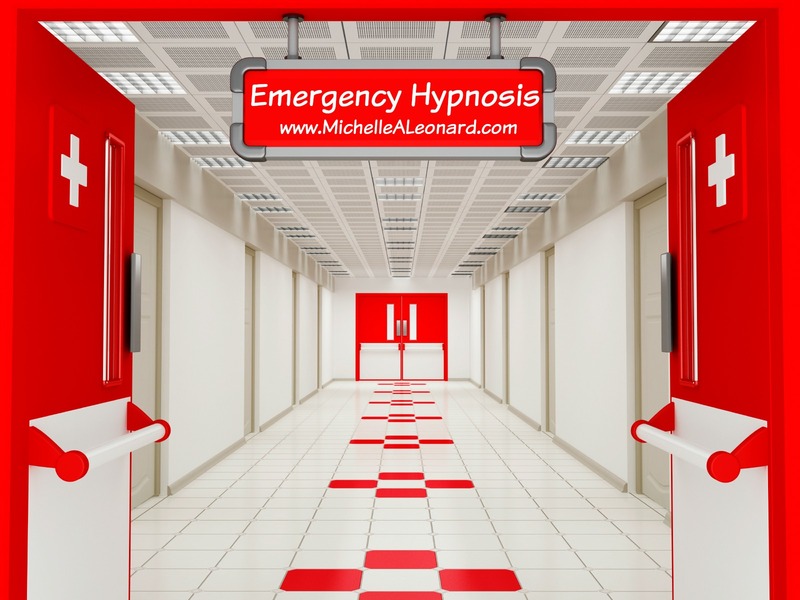 Michelle A Leonard Hypnosis offers phone sessions with anyone in the United States. Many clients are people who travel often for work or have multiple residences. Other clients may not have the ability or are just not feel up to leaving the comfort of their own home. Others have utilized the power of hypnosis before a speech or other work event; or in a moment of high stress and anxiety. By offering convenient telephone sessions, Michelle is able to accommodate her client’s busy schedules or immediate needs. Phone sessions give you the same one-on-one attention and quality interaction that an in-office session does. 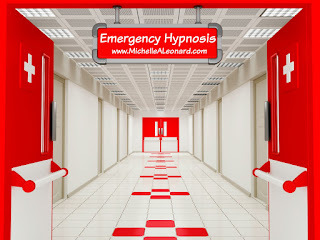 Michelle often even hypnotizes people over the phone while they are still at work. Over-the-phone sessions give you flexibility even if you are a "busy" person with "no time.". To do this, all you need is privacy, a comfortable chair, and some uninterrupted quiet time. It doesn’t have to be absolutely quiet just quiet enough. 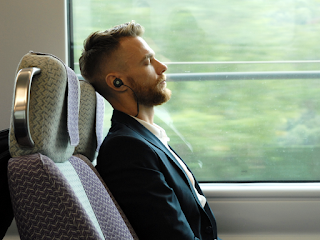 These sessions work best with either a speaker phone or headset (earbuds) of some kind. 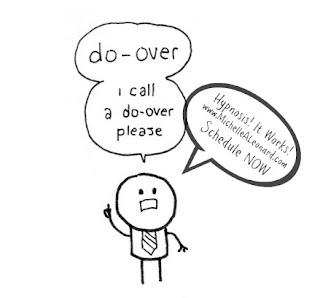 The only difference between an in office hypnosis session and doing one by phone is the inability of the hypnotist to react to bodily cues from the subject, such as breathing patterns and facial expressions. This is usually not an issue at all. ✓ Have the attitude that you truly want our phone sessions to benefit you. This attitude is a hundred times better than choosing to resist hypnosis. Hypnosis works because you want it to. ✓ Have eaten something earlier so that you are very comfortable and your mind is able to focus on what we are doing. Be sure to skip coffee or any other beverage that contains caffeine. ✓ Sessions can be done by telephone, speaker phone, headset or by Skype on your computer or laptop. A headset of some kind is usually the best option. All hypnosis phone sessions are booked by appointment. Payment is made easy through PayPal. Save time! You are just a phone call away from success! Schedule an appointment today! If you are not available for office hours in Ocean or Monmouth County or just live to far ......We have phone and Skype sessions available! Your location is not an excuse. I am here to support you or a loved one.